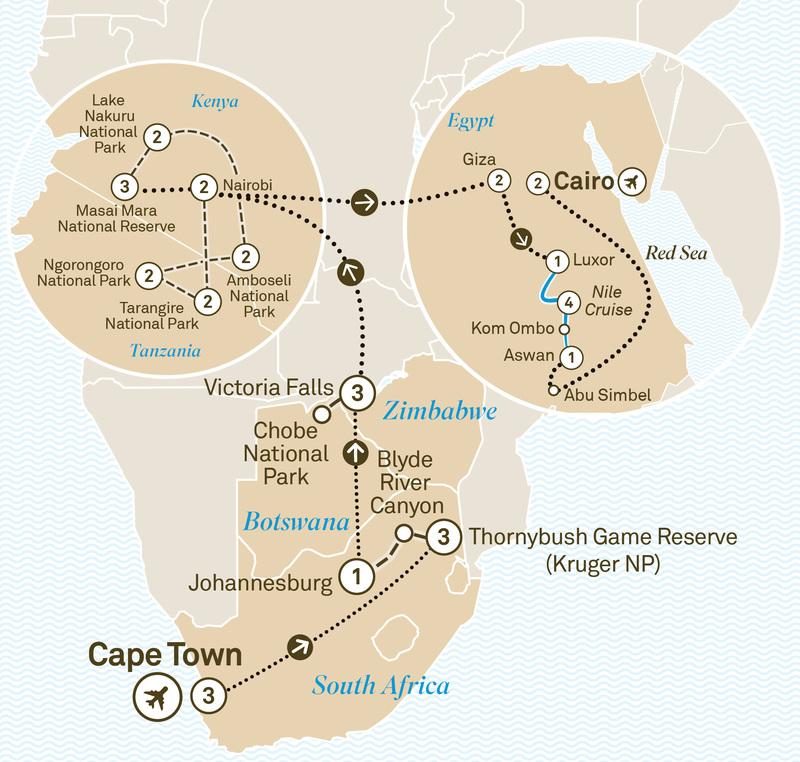 First, you’ll immerse yourself in Africa, from the emerald-green hills of Cape Town and majestic Victoria Falls, to tree-climbing lions in Tanzania. Next, you’ll discover Egypt, swapping lush greens for golden sands, rose-red canyons and ancient wonders. Along the way, your journey will be peppered with unique experiences you won’t find anywhere else.